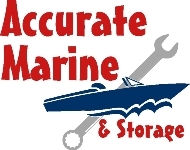 Accurate Marine has over 20,000 square feet of inside storage with room for boats up to 36 feet. Storage is available year round for boats, RV’s and trailers. We also have secure outside storage. Shrinkwrap will protect your investment from a harsh Wisconsin winter. We offer shrinkwrap services whether you store your boat with us or somewhere else. Getting in and out of the water can be tricky. We move boats up to 36 feet safely with our hydraulic trailer. We offer transport services too. INSIDE WINTER STORAGE $3.50/square foot for boats that require hydraulic trailer. INSIDE WINTER STORAGE $2.50/square foot for boats on a trailer. OUTSIDE WINTER STORAGE please call or email for a quote. INSIDE SUMMER STORAGE $2.00/day for boats up to 24 feet (call for larger boats and RV pricing). OUTSIDE SUMMER STORAGE $1.00/day for boats up to 25 feet.